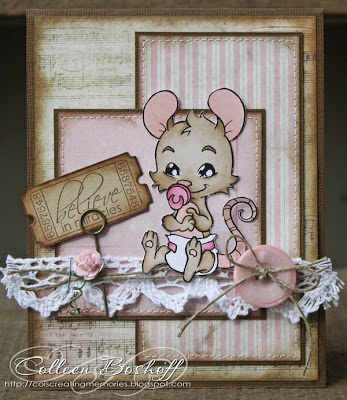 Its time again for the latest challenge and its another stunner! Some of my favourite lace at the moment and finished off with WOJ button twine, a button, Whimsy sentiment, Tim Holtz memo pin and Wild Orchid rose from my stash. Wat een prachtige kaart , je hebt hele mooi kleuren gebruikt. 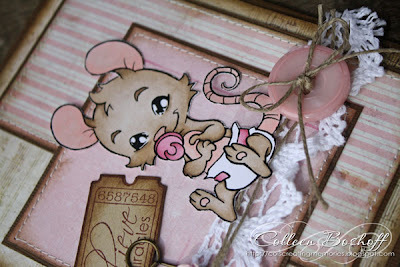 What a wonderfull and lovely card project, looks fantastic ans is just tooo cute!